Bringing Alexa to ICU rooms. Alexa enabled ICU Rooms allows patients to control room temperature, lights, housekeeping and even call on duty Nurse. Alexa can now help you discover and know more about all the cool features of your new product. VoyceFirst helps Businesses add a Voice Interface to their Applications. Voice experiences will leave an everlasting impression on consumers and enhance your product’s ability to entice, engage and hook the consumers to your product. Qvick redefines luxury hotel stay experience. You can control the lights, call for room service or ask for housekeeping by just talking to Alexa. 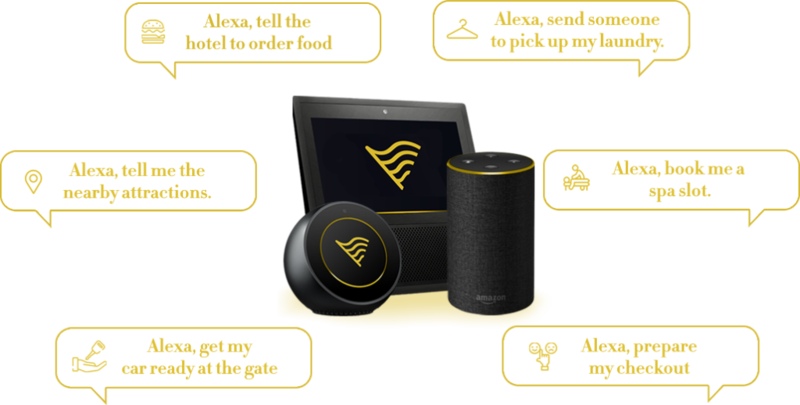 This enterprise Alexa skill enables hotels across the Globe to provide their guests, an experience worth remembering. We are building skills that engage young minds. Voice is an excellent medium to teach kids. Our Alexa skills for kids are fun, interactive and educational. An exciting game on echo show, that teaches kids how to Code while they save the world from an Alien invasion in the year 2054. One stop skill for toddlers to interactively learn different Shapes, Body Parts, Animal Voices, Days of the week and Months in a Year. We are constantly building engaging and interactive voice products for general consumers. Our array of diverse alexa skills in varied topics help engage hundreds of consumers across the Globe every day. Voice is a very powerful medium to teach kids. With the kind of short attention span kids have, it is very challenging and essential to build products that engage them and keep the learning process fun. Emergencies demand answers and guidance immediately without any delay. With Voice, we can substantially improve the the health care industry by empowering users to interact and retrieve essential information. If you’re a dreamer who is crazy enough to believe that you can change the world, come join us! Let us make the dent to the universe together. We are a voice technology startup passionately designing seamless interfaces which are going to change the way users will interact with applications in the future. Copyrights © VoyceFirst All Rights Reserved.